Tekken 7 is finally due to release on consoles, over two years since its arcade release, and has promised to tie-up the series’ Mishima Clan saga that has been running throughout the series over the past 23 years. 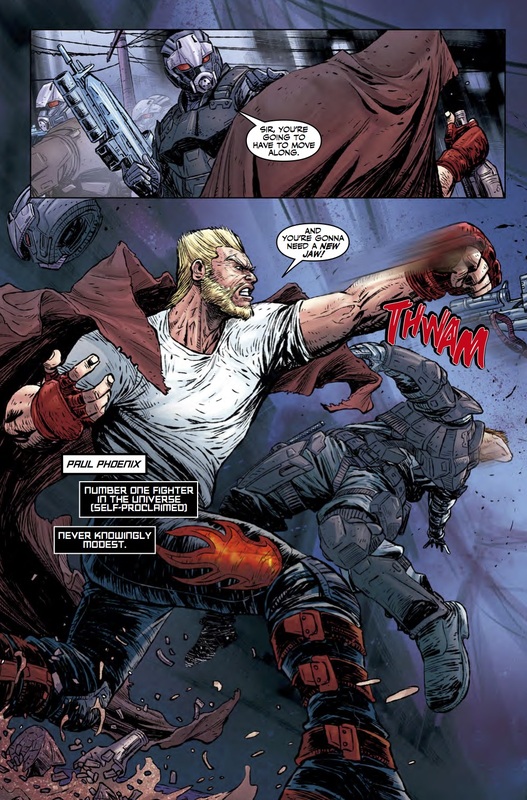 As it has been over six years since the last canonical game (Tekken Tag Tournament is non-canon), Tekken: Blood Feud is a 4-issue comic arc that will bridge the gap between games 6 and 7. The first couple of pages are dedicated to newcomers, offering a ‘Story So Far’ recap and small paragraphs on each of the main characters featured, all with the same underlying Tekken humour that fans have come to love, as absurdist as it is. The following page then features a really clever introduction to the people behind the comic, but designed like a Character Select screen synonymous with fighting games; the bottom half being dedicated to all the characters available, or in this case, the backroom staff of Titan Comics. characters, but their name next to them is certainly welcome. vein then fans of the games will certainly enjoy the comics as well. This first issue also features cameos from other characters from the Tekken rosters and it’s a joy to think who could be appearing next. 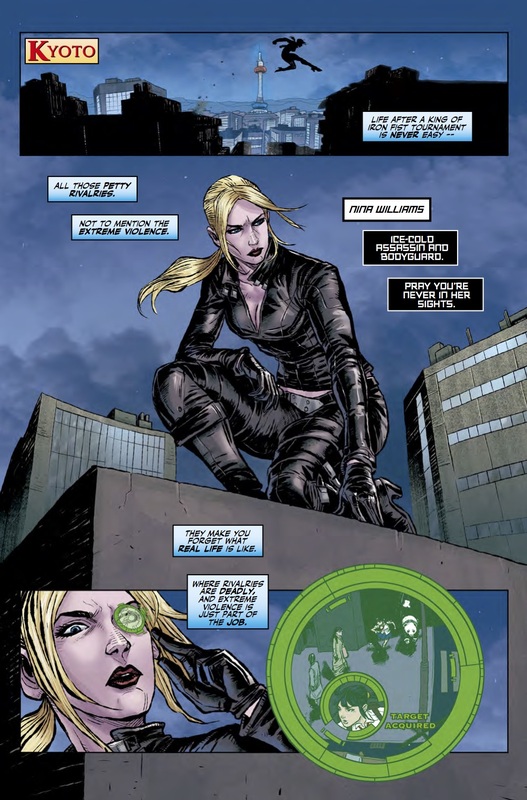 The artwork style is okay, with it growing as the issue goes on – in fact, I feel that it is much better in the latter pages than at the start I. 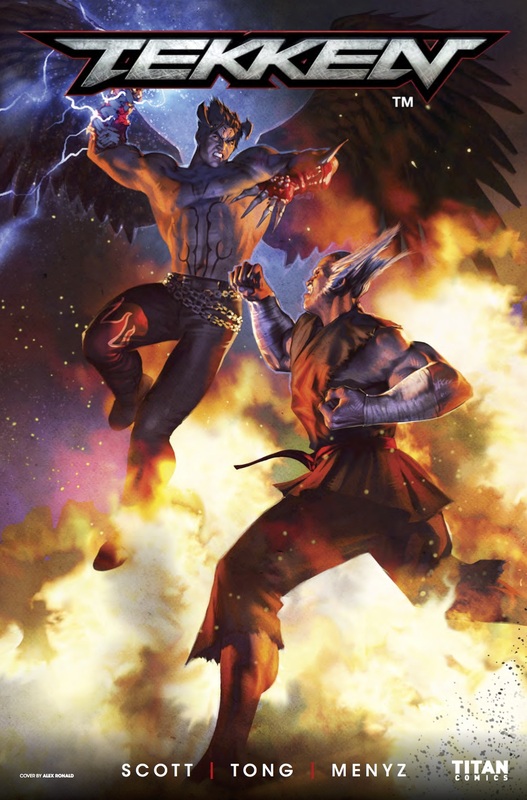 The variant covers though are all excellent, with one being the game cover art and another featuring Heichachi separating Jin and Kazuya from fighting, all whilst stood on top of a pile of the entire Tekken roster brawling. A third features Nina squaring off against Yoshimitsu, which does not occur once during the issue but is still a great cover. As with many ‘first’ issues, aside from the alleyway brawl not much else happens action-wise as it is more about setting up the premise for the issues to come. This is a very promising start though. The plot is basic and uninspired, but seeing these characters interact in different ways is more than enough for a series fan to want to invest in the remaining issues.